Two for Tuesday – Products and Marketing! #TwoforTuesday – Products & Marketing go hand in hand, are you aligning yourself to be able to segment? Today I have some great news, so many new product niches are on the table to help Mortgage Broker’s #GetonPoint! Recently, Freddie Mac has announced they are offering a select portfolio of lenders a 85% Cash-Out Conventional loan again! @BluePointMtg we also rolled out with ITIN loans, DACA loans, Non-Warrantable Condo’s, and various bank statement loan options. WOW and to top it all off, BluePointMtg is offering FREE APPRAISALS for all loans over 300k from now till the end of the year!! These are all great segmenting and marketing angles that any Broker partner we partner with can use to grow their pipeline! Speaking of Marketing, these products become a gateway to help campaigns come to life. If your slow, or do not have these products in your mix, I personally want to welcome anyone that wants it, a FREE strategy session to create campaigns for your geographical area to grow your business. If you’re a Mortgage Broker, I encourage you to align yourself with niche products in your lending arsenal that can compliment marketing plans in 2019. We close loans that’s the point, get on point with BluePointMtg in the last quarter of 2018. Such exciting times right now within the industry of wholesale mortgages, at BluePointMtg we’re expanding partnerships, products, and people! If you know of a great AE whom you’d recommend to help our expansion, send me a message! Wonderful Wednesday – The difference in your pipeline! #WonderfulWednesday – The difference in your pipeline is the actions you take. More than ever before, TRENDS are affecting the mortgage business in a major way. If you have seen this trend or do it yourself, it may be something worth adapting too. What am I talking about? An Online presence. You see more and more people use their “phones” in a whole new way. More people spend more time on their phone, but less time on actual phone calls. Are you adapting to be in their daily routine or show up with messages that are read? Today I talk about the difference I see in those LO’s /Mortgage Broker’s that are busy and those that are struggling. The biggest difference is those that are busy are building brands, and using the phone an entirely different way. The ways to communicate are changing, are you adapting to this? While only 33% of all calls go answered, there’s a staggering 98% of all texts are seen/read. Do you communicate that way? Those building branding are building communities and groups and or at least participating in them. There’s discussions all over online where consumers are reaching out for help. If you’re “doing it right” you would be in those groups, commenting on those posts, and building an online presence. This also goes into how more savvy referral partners are looking for value from LO’s. They want someone to share their most recent listing and to rave about them. Also a great way to prop out a partner that can send you leads. The difference between those busy and those not are the ones actually doing the branding and online presence to grow their business. My goal is help LO’s and Broker’s “make it” and grow a pipeline with them. While we can help you close the loans you have, we can also provide tools to help you source more business. #GetOnPoint – With #BluePointMortgage – CLICK HERE to partner with a wholesale lender that has niches’ you can market. Mondays Motivation – Guidelines and Marketing! #MondaysMotivation – Guidelines and Marketing are the two things you, as an LO, must master in order to be successful! While guidelines change all the time, so do marketing trends and what works. You need to be “up to date” on these to be a successful LO in Today’s environment! All this week, I go over commonly asked guidelines and a talk about how it coincides with marketing. On FRIDAY Aug 31st, 2018 @ 10 am EST, I will put on a webinar that’s FREE for all! I am going to cover a part of #TheBluePrint that I’ve been teaching Broker’s/LO’s for years to expand their business. It’s all about whom to reach out too when through the year to help you expand your rolodex of referral partners. Someone probably told you to network with RE Agents, but whom else could you be gaining business from and when throughout the year should you be reaching out? These are all things I cover on Friday’s Webinar. FRIDAY AUGUST 31st, 2018 @ 10 am EST is the time for the webinar! Want to know more about using seasons and trends to help you build your business? SIGN UP HERE! Today I break more of it down so you understand your options! If you want a 3-5k product for half the price because I get a bunch of LO’s to gain lead machines at once this is the best deal out there! Hands down, and as far as the results go, I’ve only promised 125-150 lead area for most geographical areas and with a 500 ad spend the results have been astounding. Yes you have to pay for the ad to run on Facebook. That’s what FB does. It shows your ad to people we target in areas of your choice. It’s all done with a professional management service for your advertisement. That’s the most important part, and what is the reason your ad will give you results month in and month out. Most are seeing 200+ leads with a slightly less than 20 dollars a day budget. That’s around 500-600 dollars depending on how long the month is. Most start at that point for ad spend. 20 dollars a day will get you a few thousand impressions and then some good 2-5 leads a day. Sometimes north of 7. But all in all, ad spend dictates lead count if relevancy is optimized. This is what the management service is for. And the longer you run the ad the more information you will have to retarget it, and make the most out of ad spend you have. Here’s a result of one funnel from the first full month in on the campaign: 214 leads for 2.78 a piece. What would you do with that many more opportunities? This management package is what starts the project. You pick one of two options, a 500 dollar retainer monthly to have a professional service optimize your ad to gain results, or a 750 option. The difference I explain in today’s 2nd video. What you will get! 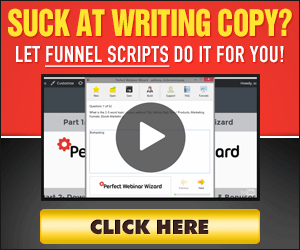 Well this is a bulk funnel order of done for you solutions that can turn on a lead faucet to help you grow your list of prospects. Then it comes with a follow up sequence built in (Or customize-able based on which option you choose) that will help your conversion of this marketing campaign. NO DOUBT – A professional service will turn on lead flow. But what you want is to convert the people interested in a home! (the advertisement) So what we do is set you up for success, and I put my own personal training to work for you. First you get the ad made for you, it takes a few days to build out as this is a custom built advertisement for you. And it’s run on a community page we will make for you. The reasoning for that is there is a relevancy score associated with community pages that is higher than that of a business page. Plus it hides the salesman a little. People are more opt to “subscribe” into an ad from a community page than a business page. Then you will get set up with a CRM that the leads will go into. This is all part of the package, and technically what you pay later in the month for. Inside the CRM there is a sequence of SLY DIAL, TEXT MESSAGE and EMAIL DRIP campaign all programmed in so when leads opt in, they start the sequence. Depending on the “management package” you choose, that set of sequences may or may not be customize-able. I suggest the customizable package, as it includes chat bots on your page as well. Half way through the month the second invoice is taken for first installment of the purchase of the funnel. 500 on the 15th, and then 500 on the 30th. Simple to understand, you’re getting a 3-5 dollar professional funnel built for your advertisement for 1k. You do have to select a management of that funnel and is what starts the project. (since that is a re-occurring item monthly) So if your math is right you’d be at 1500-1750 for the complete funnel deal and management month 1. Then ad spend would be a separate expense. Since it takes about a week to completely build a new ad project your expected ad budget would be less than 400 on month one. Even at 20 dollars a day. So depending on the management package you do pick (500 basic or 750 customize-able) you would be 1750-1850 area month one with 500 plan or 2000-2150 with customize-able plan. Month two you wouldn’t have to pay for the funnel again so you would have your ad spend and your management package. Assuming the basic package and 500 ad spend budget, you’d allocate 1k monthly to generate 125-150 leads. Again most campaigns are pacing to do a lot more than this, but I like to set expectations you can hit a mark on. To help with conversion, what I do with those that join my bulk order is give them my organic training #TheBLUEPRINT free. And with this help them with social selling and the ability to convert the leads they get. You are invited to take the free three day workshop or just use the information. Also this month, I am including a month of #phonesites free with sign up. What we’ve done is lowered the barriers of entry and allow LO’s to see results before they pay for it all. 500 starts, on the 15th the first 500 for the funnel is taken, and then on the 30th the last 500 is taken. Once you’ve paid for the funnel, the community page, and the data and leads are all yours to keep. There’s a big difference between buying leads and owning a lead generation machine. And when you own one, you either need to run it yourself, or let a professional do it. I offer a gateway to allow you to get in on generating leads, let someone else run it and you get the benefit of being able to do more of what you do best – Sell loans. Here’s the full “funnel” for the advertisement bulk order. Go thru this, watch the next video and let me know when your ready to start! 🙂 – BULK FUNNEL ORDER HERE! Two for Tuesday – Guidelines to help! #TwoforTuesday – Gotta love guidelines! It’s easy to forget but a VA loan is quite possibly the best loan out there. Today I go over a quick tip on VA loans that could help you LO’s gain another quality conversation with a past client. You might end up with a referral or a new purchase. Mondays Motivation – Mid Monday Motivation!! Mid Monday Motivation – Get the week started off? – I hope so, here’s a message worth hearing. What you focus on you find. So if you’re B2B/B2C it doesn’t matter, work your LOA! As for today – Well – I’ve been on the phone. 🙂 – I am focusing on just that. And what do you know! – You should too! With the focus at hand on converting leads, you (just like me) should be using some form of lead capture and lead cadence to help your audience. Weather that contact is a prospect or past client, focus on conversion activities. What’s the goal? Me = Drive more Broker’s to the website to use my wholesaler! You = Drive more clients to the closing table. How, you focus on generating leads and prospecting to qualify people upfront. The more conversations you have, the more credits you pull, the more loans you can pitch. = The more loans that enter the pipeline. 🙂 Here’s a clue; You need to capture more potential prospects to talk too. Use this tool – PhoneSites! Thursdays Thoughts – Get your ONLINE GAME RIGHT! #ThursdaysThoughts – Get your ONLINE GAME RIGHT!! – Seriously if you have an online profile but it contains no contact info and no indication of what you do – AND your a loan officer – You’re doing it all wrong!! Look I get it, Facebook and other social media might have been once for your friends and family! But you’re in sales now, and nobody is giving you leads – You rely on referrals!? (I ask a question on that – How do you expect to do that if nobody knows what you do?) Second major point is, if you’re a LO and NOT using social media you’re missing out! BIG TIME! For those that are, already have a JULY type pipeline going on right now! My frustration is that I have more mortgage pro’s out of my immediate network that I’m helping KILL IT, than those that I have as a wholesale client. I’ve helped fairway guys to movement peeps to even quickenloans LO’s that want to get more biz. There’s no doubt there’s a shortage of ACTION TAKERS when it comes to mortgage broker marketing pro’s. Some get a small piece of the pie, and are comfortable closing 2-5 deals a month. If I was a broker, I would be generating leads all day every day to get my own pipeline at retail producing numbers. Seems the retail guys get paid less, so they hustle more. #GoodforYou – But I’m an advocate for Broker’s cause they have the best pricing and can do so much more in options than a retail MLO (they only have so many options)! Look I get it, and I’m here to help those that want to expand their online presence. Thursdays Thoughts – SAAS – Use Software as a Solution! #ThursdaysThoughts – SAAS – Use Software as a Solution to gain a competitive edge. In today’s day and age of mortgage origination it’s all about “client experience”. From the end user, to the Broker’s easy of use with the system (and Lender) they use to get deals done. Software as a Solution allows you to level the playing field with other tech giants like Quicken Loans. There are a ton of solutions out there, some I endorse and have on my JUICY list. (Join Us In Creating Yes’s) – I’m all about helping the Broker and LO community grow their business, that’s why I do what I do. If you haven’t seen it feel free to join Sales Talk with Mortgage Pro’s on Facebook. A group I’ve grown for over 4 years now. There’s about 4500 people in there and a ton of companies that promote their SAAS for you to use. From gaining trigger leads on your own past clients, to having a virtual app, CRM or marketing solution to gain leads. These are all inside my group or on the banners on the side of the BLOG! Click one today, and get started using a SAAS! Mondays Motivation – A Face Lift for the JUICE! #MondaysMotivation – A face lift without the facetime? Yep, no video can direct you to blog better than a catchy subject line! I updated the banner ads on the site this past weekend. With more partnerships for you LO’s to take advantage of to grow your business! Second, is the newest of all affiliations, and it’s HOT! HOT as in making leads happen all day every day for your Real Estate partners on autopilot. It’s LISTING BOOSTER! Check out this mega tool that you LO’s can capitalize on to help your RE partners gain more leads for new listings. Do it now, and you will change your pipeline for the best summer ever. CLICK the banner ad on the top right of the site! Next is a tool in response to BRAWL! I support mortgage Brokers as you know, and believe in sales regardless of “which wholesaler” you use, the LO is responsible for retaining their own client. You should check this out if you have a large client list, it’s a way to monitor past clients credit for a mortgage inquiry and get notified when the IRON’s hot to strike. It’s RETAIN YOUR CLIENT – a mortgage retention service that helps you maintain a presence in front of past clients looking for financing solutions. Weather you helped them years ago, or just six months ago, this option can help you stay relevant to your client list. The next few banner ads on the left have been on there a while, however always a notable mention for mortgage broker websites, and lead pages. From Click funnels, to LeadPops to the Lender Home Page, these options are on here because they can help you with exposure and help you gain leads!